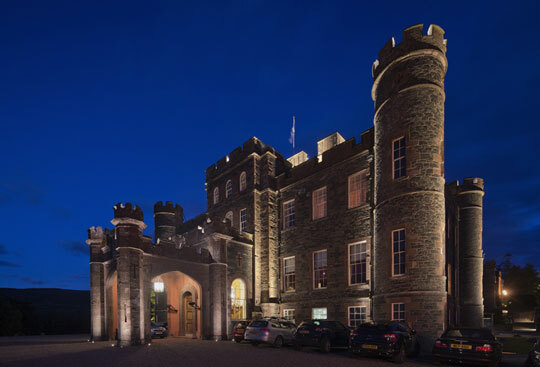 Nestled among the beautiful Scottish Borders countryside, Stobo Castle offers excellent service, fine food, elegantly trained staff and above all, the ability to find peace in a frenetic world. It would be our pleasure to welcome you to an experience which can be so rejuvenating. So Stobo. gift voucher – perfect for any special occasion. We're excited to announce the launch of our beautifully fragranced, highly effective range of So Stobo Natural Spa hair and skin care products. 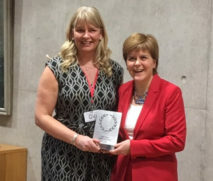 It was an absolute pleasure to meet First Minister Nicola Sturgeon when she took time out of her busy schedule to present our very own Yvonne Cowan (Accounts Director) with the prestigious Investors In People PLATINUM award. We’re delighted to be the only business in the Scottish hotel sector to achieve this highly-coveted accreditation! Our Spa experts have created four exciting new spa days to take you through the seasons during 2019 – book one, or more, here! 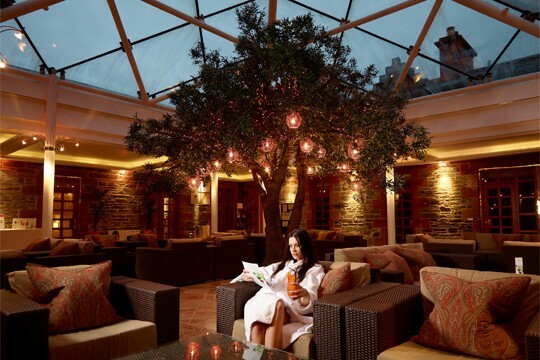 Stobo crowned the UK’s Best Destination Spa! Our second award in 2 weeks!! Following on from our success at the Scottish Borders Business Excellence Awards where we picked up the Tourism and Hospitality Business of the Year, we have just been crowned the UK’s “Best Destination Spa” at the Good Spa Guide Awards!! Huge thanks to everyone who voted for us. Summer Offer - Save up to £24pp!